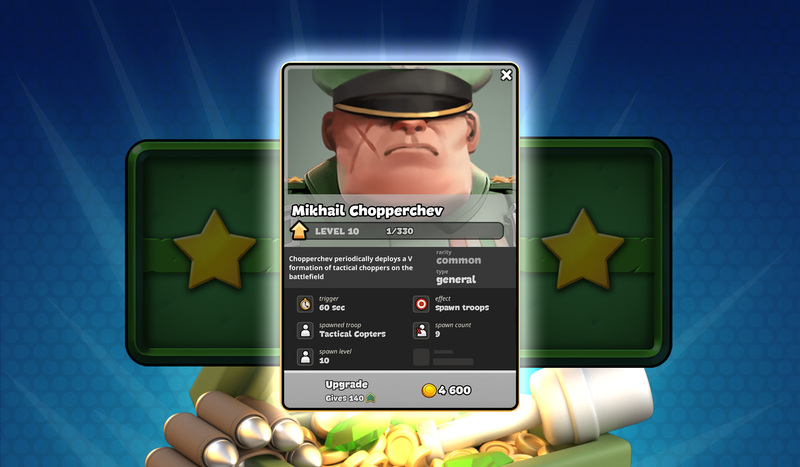 A new General, Mikhail Chopperchev, has arrived in the headquarter! During the battles, every 60 seconds he will deploy V formation of Tactical Copters on the battlefield! Grab your gear and follow his commands!